Welcome to the Amherst Chiropractic website! Dr. Anthony Robichaud is a chiropractor in Amherst, Nova Scotia who specializes in chiropractic biophysics (CBP), Sacral Occipital Technique (SOT) and the concepts of Applied Kinesiology (AK). Amherst Chiropractic is committed to relieving your pain and uncovering the true cause of your problem. Our Office is located at 125 Victoria Street in Amherst, Nova Scotia. Our office phone is 902-660-9355. More details and a map are available on our Find Us page. When you seek treatment at Amherst Chiropractic, you are assured of receiving only the finest quality care. Our doctor and our staff all share a genuine concern for your well-being. At Amherst Chiropractic, we are committed to providing excellent service to our patients. We acknowledge the detrimental effects of vertebral subluxation to human health and the human spirit, and work towards continually educating the community about the benefits of chiropractic for the restoration of balance to the body. Our mission is to serve our clients with the highest quality Chiropractic Care, thereby increasing their vitality and human potential. Chiropractic is an approach to health that uses no drugs or surgery. 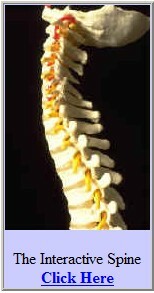 Chiropractic adds balance to the nervous system, helping countless health conditions and over all well being. Chiropractic can help everyone in the family, from infants to the elderly. Our techniques are gentle, effective and natural. "Contained in your spine is the world's most sophisticated intelligence network. A remarkable system that relays information to quadrillions of cells in your body. It controls, heals, and maintains your body's countless functions, while inspiring you spiritually, and intellectually."